The use of composite materials in engineering structures continues to increase dramatically, and there have been equally significant advances in modeling for general and composite materials and structures in particular. To reflect these developments, renowned author, educator, and researcher J.N. Reddy created an enhanced second edition of his standard-setting Mechanics of Laminated Composite Plates and Shells: Theory and Analysis. A timelessly valuable resource, this book approaches the subject primarily in terms of the finite element method. 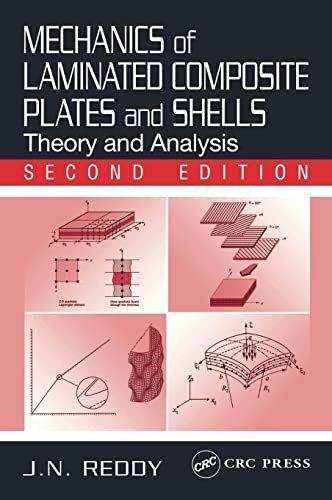 It provides incomparably full, self-contained coverage of the theories, analytical solutions, and linear and nonlinear finite element models of plate and shell laminated composite structures.